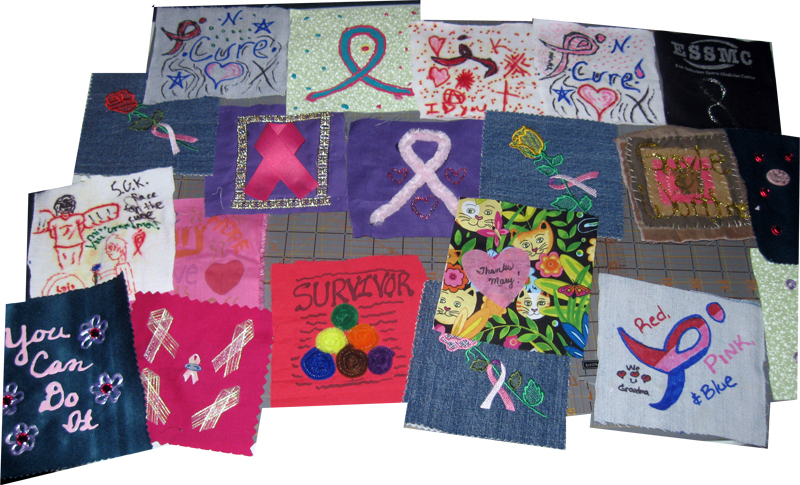 I decided to move on to the second Breast Cancer quilt work and at least square up the blocks and ponder layout options before I move on to sewing both quilts. This is the most variety in blocks that I have seen in the last couple of years. This one has soo many colors and creativity in it! It will be beautiful. Since there were so many colors, I could not help replacing the one lonely blue block from the first quilt layout. I exchanged it for a dark pink block and brought it over to the colorful blocks quilt. There are so many different variety of blocks, I could not photograph all my favorites. I'll highlight others as I review them all.